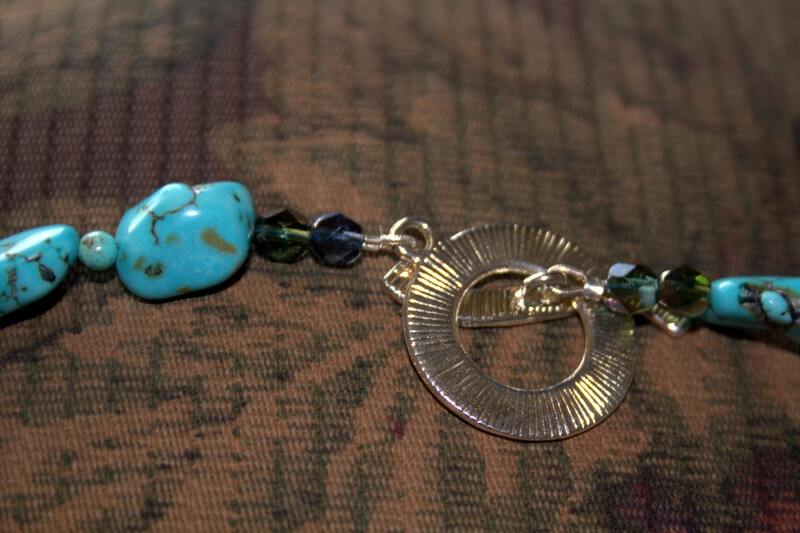 This necklace is made from turquoise nuggets and small, round turquoise beads. The beads have black and natural copper colored veins running through them. They are stabilized for strength. 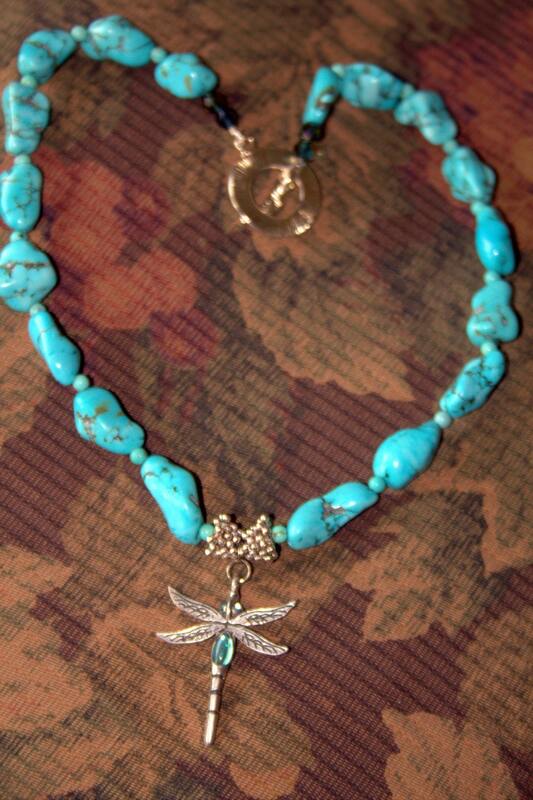 The focal piece is a silver dragonfly with a matching clear turquoise glass body. The necklace is 19" long and nestles in the heart-line of the throat. 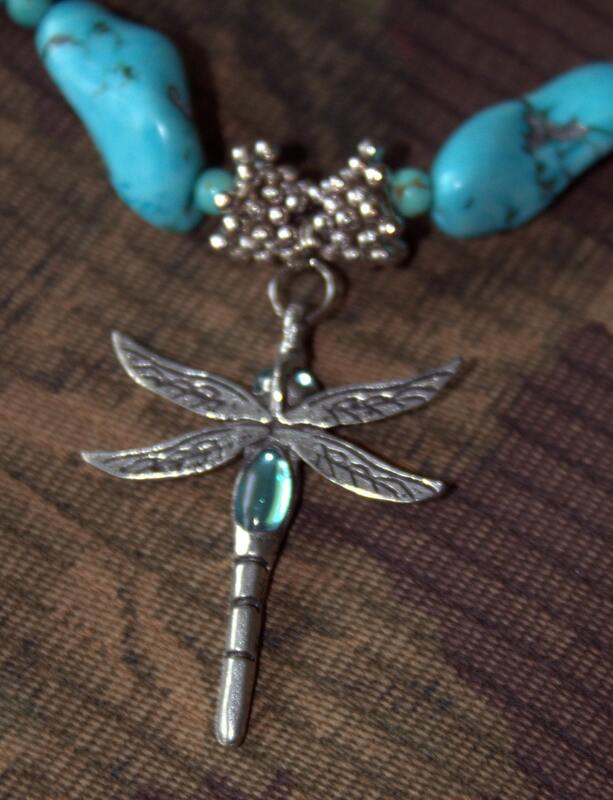 The dragonfly is an additional 1 3/4" long and is suspended from a Bali silver bead bail. The toggle clasp has a textured silver finish and is easy to put on and is secure. There are deep turquoise Czech bi-cone beads for accents at the neckline. This necklace looks great with western dress or with a T-shirt and jeans. Looking for the shipping fees? Scroll back up the page until just under the photos and click the blue Shipping & Policies tab. Before purchasing, please read my shop policies for more information about shipping methods, deadlines and possible international customs duty fees.